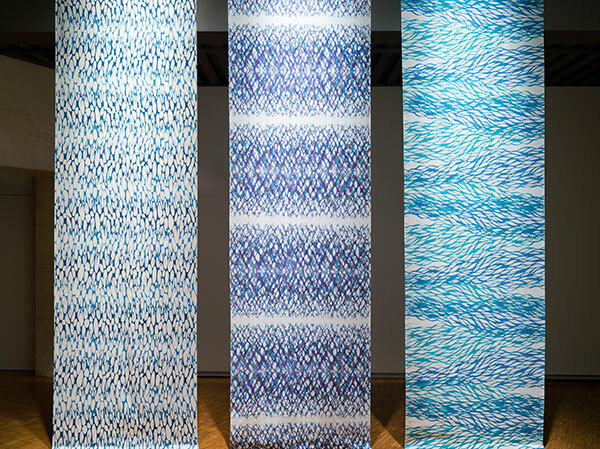 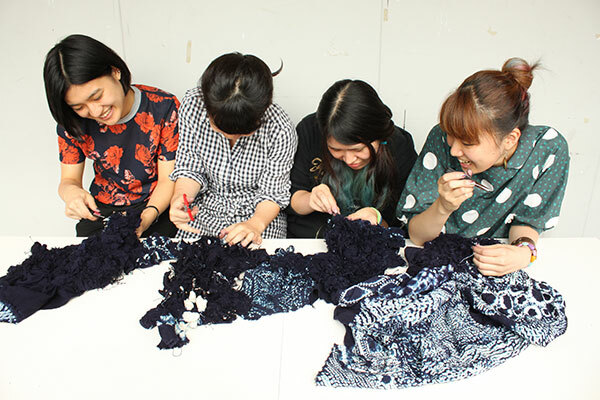 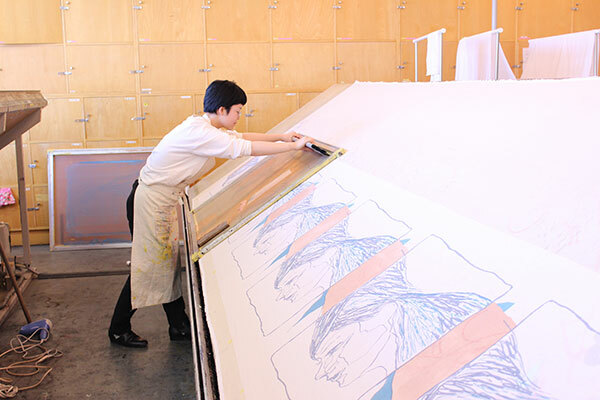 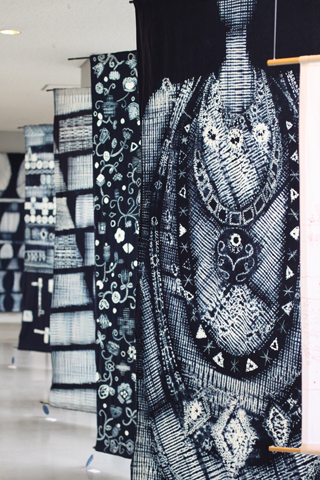 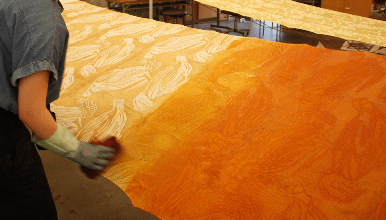 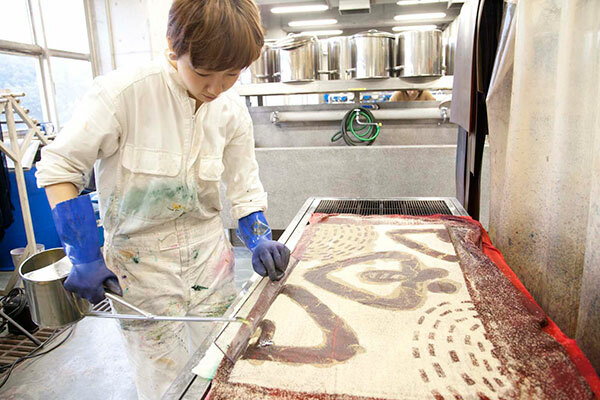 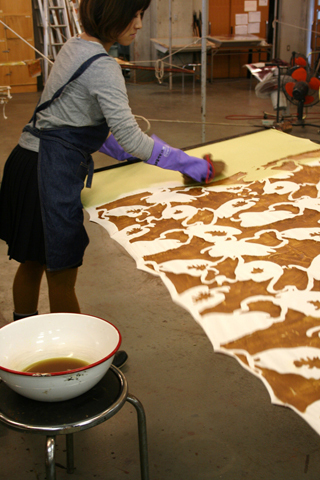 Using traditional dyeing techniques and techniques that enable the production of large quantities, students dye their own patterns. 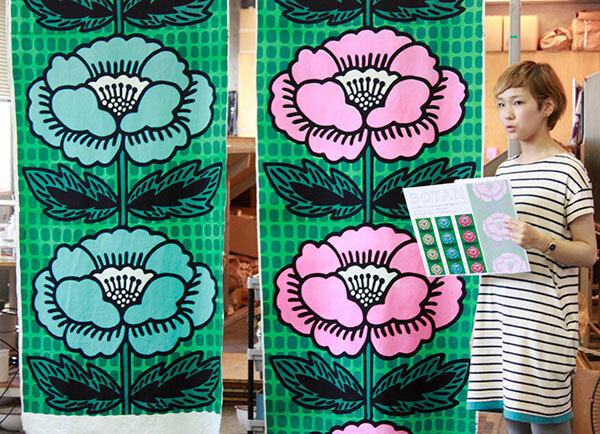 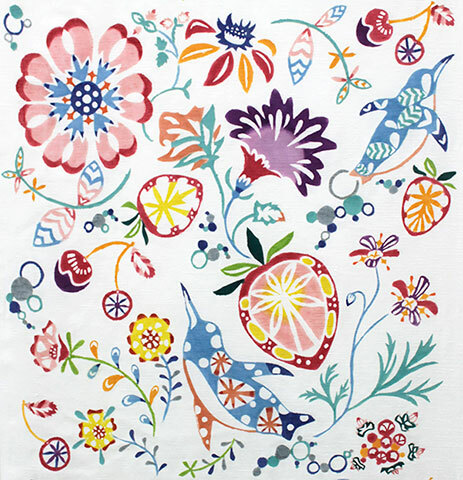 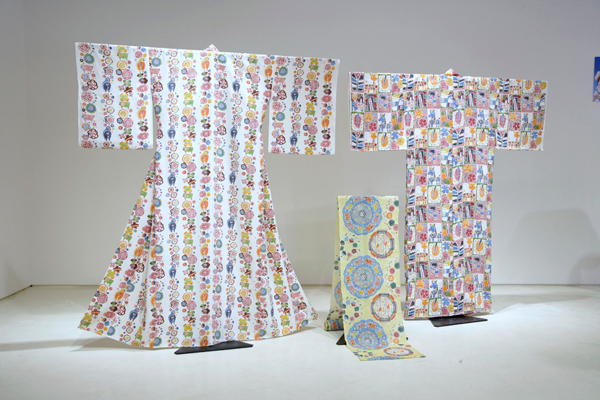 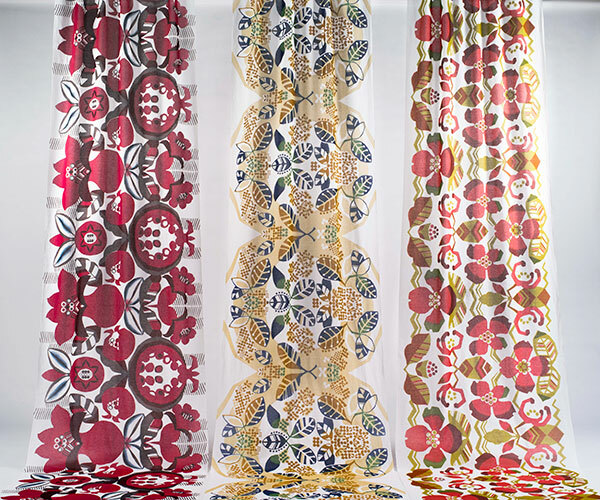 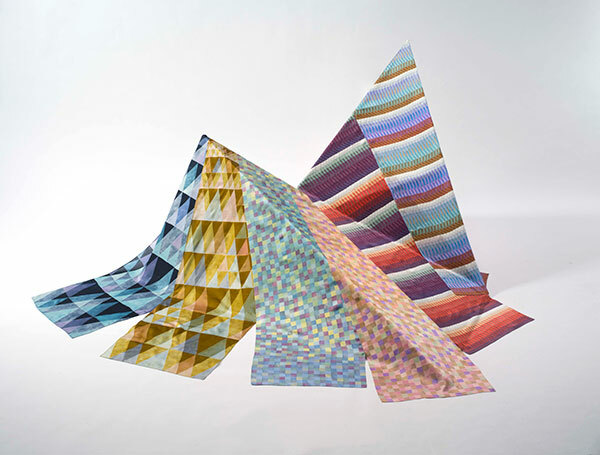 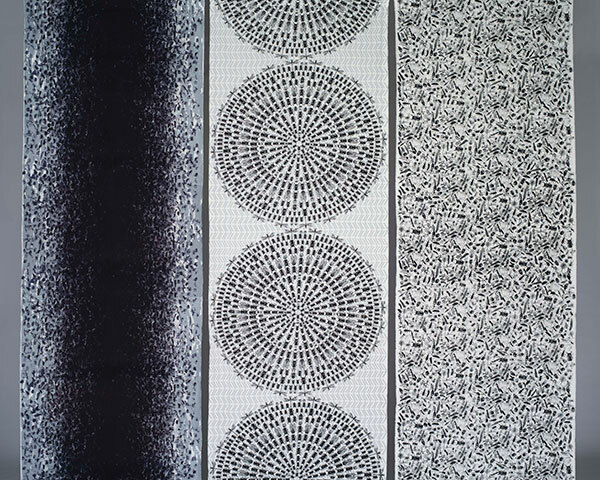 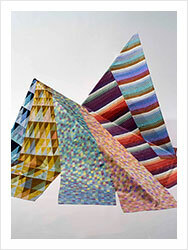 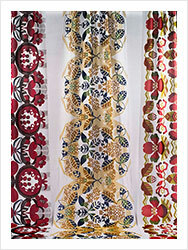 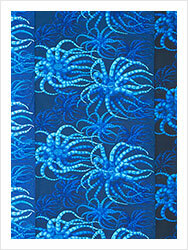 Original patterns with their own colors are utilized for clothes, kimono, or interior fabrics. 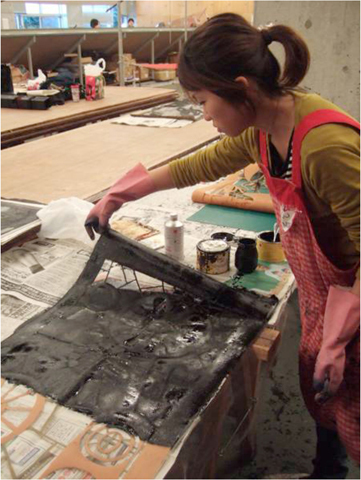 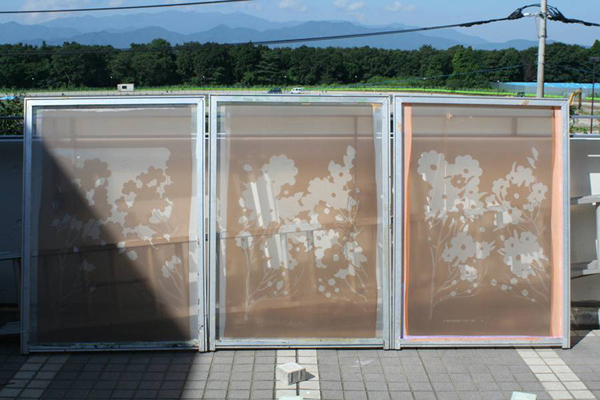 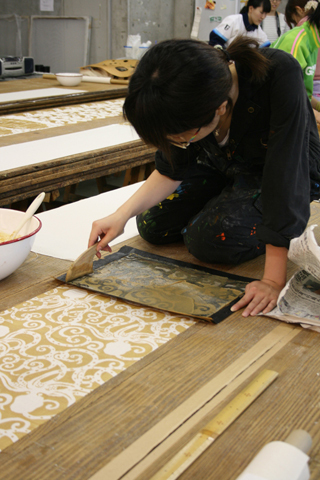 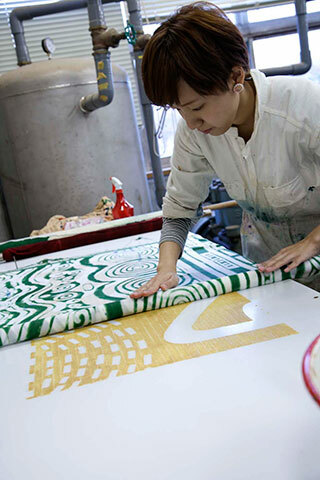 Chusen , or dye-pouring technique using stencils is used for various fabrics, ranging tenugui (small hand towels to double width cloth). 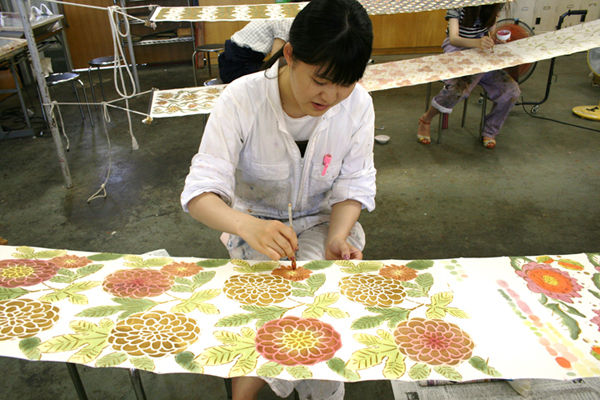 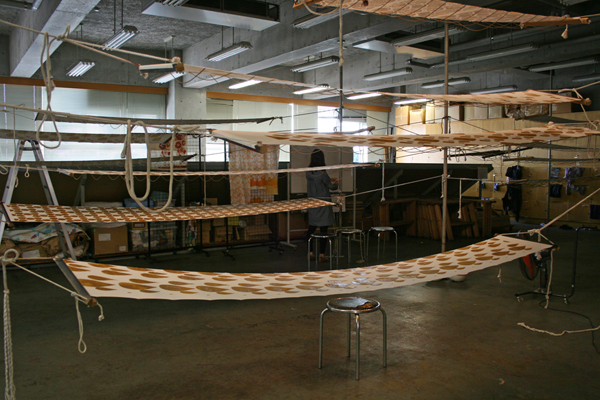 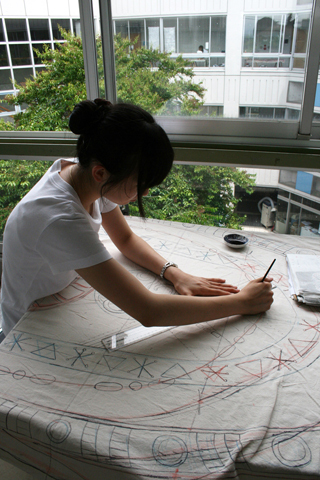 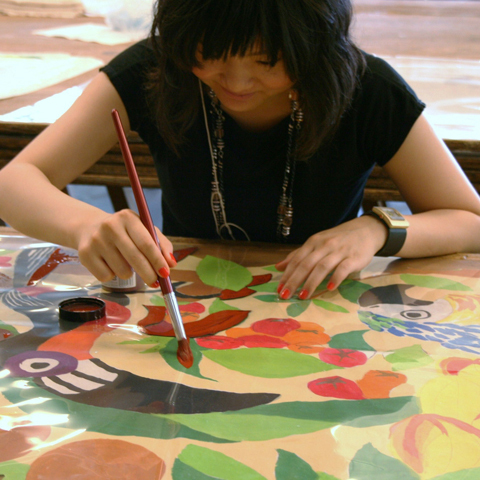 This is a unique technique taught only in the crafts course at Joshibi University in Japan. 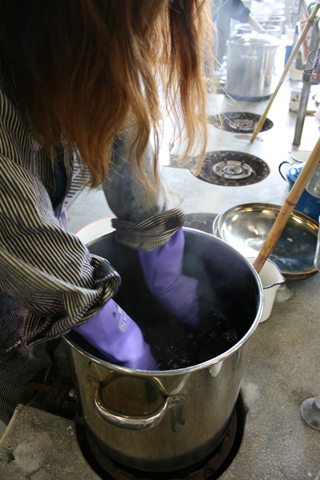 Click to view the introductory video on the Dyeing Course. 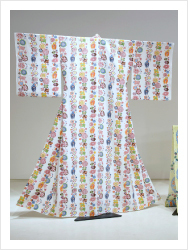 ※The images are accompanied by music. 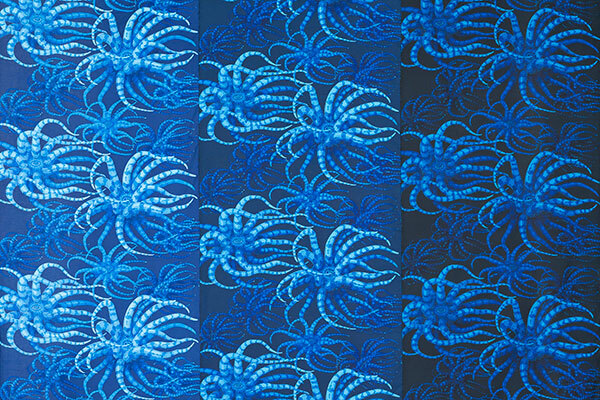 Please adjust the volume appropriately. 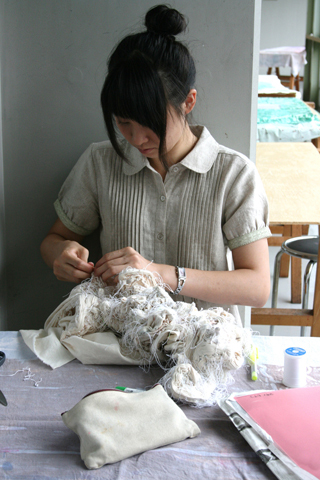 You can view additional works of students in the Deying Course on the Student works/Deying Page.